We now know that Citroen will begin its India run with the Citroen C5 Aircross SUV. But what exactly is the C5 Aircross? 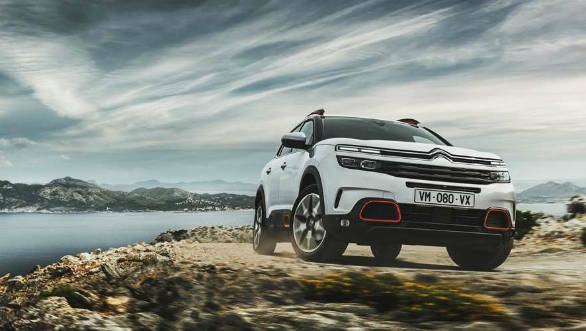 To begin with, it is the French brand's largest SUV, sitting above the C3 Aircross in its SUV line-up. Comparably sized cars already present in our market are the Volkswagen Tiguan, Jeep Compass and Hyundai Tuscon. 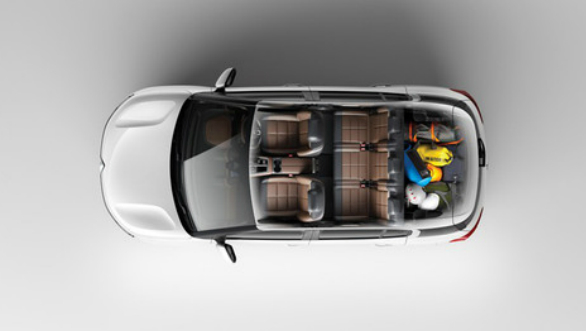 Like these cars, the Citroen too is a five seater. The C5 Aircross' styling follows the brand's quite offbeat design language. So while the overall shape is quite like that of any other SUV, the car is dotted with unique geometric design touches. This comes across in the split headlamp cluster, the air-intakes below the grille, the Airbumps along the side of the car, the shape of the glass-house and even the taillamps. Other touches which bring some of the requisite SUV aggression is the swept-back bonnet, and the stocky, high beltline stance of the whole car. 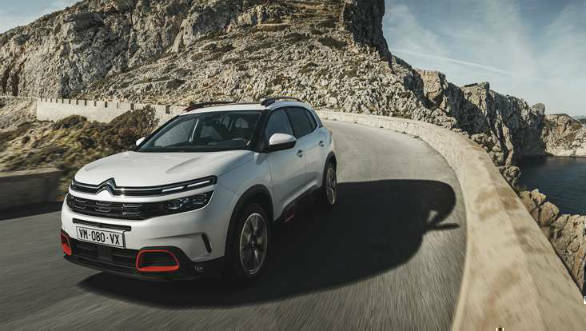 The C5 Aircross sits on the PSA Group's EMP2 modular lightweight architecture, also seen on other cars like Peugeot 5008, the Opel Grandland X, the more upmarket DS 7 Crossback and the Peugeot 508 sedan. Adding to this car's unique styling are the 30 exterior colour combinations that are available. Abroad buyers can choose between seven body colours (Polar White, Nera Black, Platinum Grey, Steel Grey, Volcano Red, Tijuca Blue, Pearl White) and three anodised colour packs (Silver, White and Red). All of these can be paired with a black Perla Nera roof. Alloy wheel sizes range between 17 to 19 inches, but expect the Indian car to get upto the 18-inch ones. The interiors carry forward this unique design too. Everything has a rounded geometric theme to it right from the pattern on the seat covers, the airvents, door latches and trim to the steering wheel, the 12.3 inch digital instrument cluster and gear shifter. 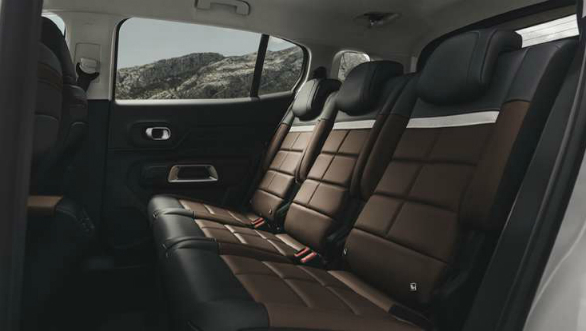 Internationally, three interior colour options are available, standard, Metropolitan Grey and Hype Brown. The last option also brings with it leather upholstery, so expect this one to be best suited for our country. 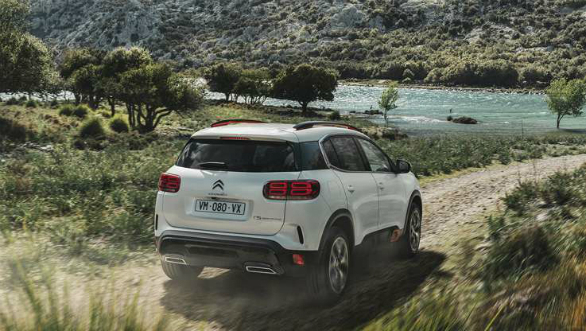 Internationally, the Citroen C5 Aircross comes with two petrol and two diesel engines. The base petrol is a 1.2 turbocharged three-cylinder with 131PS and 230 Nm, the other option is a 181PS and 250 Nm 1.6 turbo. The two diesels are a 1.5 litre unit with 131PS and 300 Nm and a 2.0 litre with 181PS and 400 Nm. The base petrol is available only with a six-speed manual, the 1.6 petrol and 1.5 diesel get both the manual and an eight-speed auto while the 2.0-litre diesel only gets the auto. Further, a hybrid powertrain with 60 km electric-only range is being developed for a late 2019 launch. 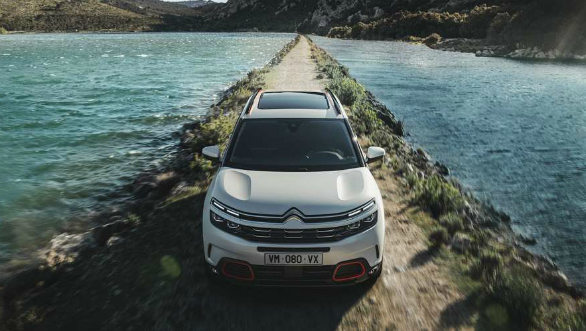 In keeping with Citroen's traditional expertise in suspension systems, the C5 Aircross also gets a Progressive Hydraulic Cushion system that adds two hydraulic stops to a regular shock absorber. Each of these dull compression and rebound, to smoothen out the ride. 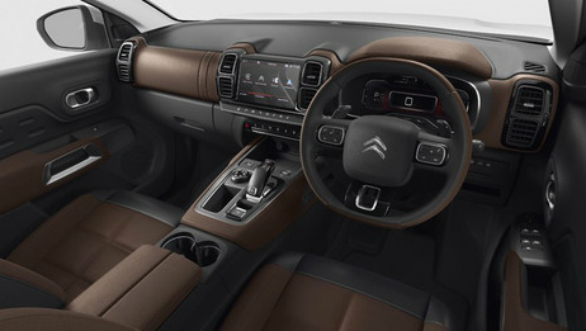 Internationally, numerous safety features are available on the C5 Aircross like adaptive cruise control, emergency braking, adaptive headlamps, park assistance, driver attention and lane monitoring system. Expect the Indian car to come with atleast six airbags and the non-radar based safety tech. There is no AWD available yet. Citroen has built its reputation on many things in the last 100 years. It has made chewap urban runabouts, comfortable luxury cars, practical family haulers and some of the greatest rally cars ever. Now combine this with its current, offbeat, typically French take on fairly mainstream trends and Citroen's entry into India is exciting news. Two more cars will follow the C5 Aircross, the smaller C3 Aircross and a new international model which will make its global debut here. Uniquely, the brand's products will feature a high level of localization from the get go, even powertrains and gearboxes will be sourced locally.